Let us help you to kickstart your hip-hop production career. Just when you thought you'd have to start buying your royalty-free loops and hits again, SampleRadar returns. It's good to be back. And we're back with a bang - or perhaps that should be a bling, as we're taking a long overdue look at hip-hop. Our collection includes drums, basslines, guitars, synths and keyboards - everything you need, in other words, to produce a hip-hop beat. The samples are split into six construction kits that are labelled according to their tempo (85, 90, 94, 97, 100 and 110bpm). Each kit contains further folders labelled by instrument type. 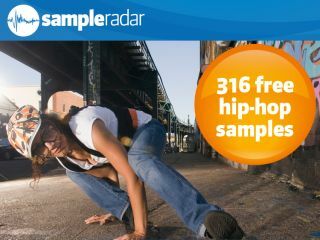 The hip-hop samples are supplied in a zip file, so you'll need to extract them before you can see them. Enjoy!